We were able to sit down with Jennifer Lauerman, marketing director of Nickelodeon Universe, the largest indoor Theme Park in America located at the Mall of America in Bloomington, MN. 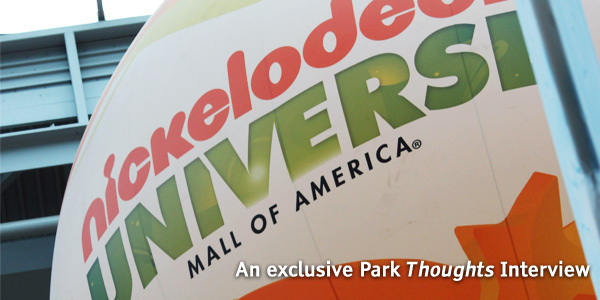 The park operated as Camp Snoopy from 1992-2006 and The Park at MOA from 2006-2008 before opening as Nickelodeon Universe in Spring 2008. We talked about how the park is doing so far this year, considering the massive heatwave that’s hit Minnesota recently, and we also talk about how they market such a unique and challenging park to guests. There are also hints to big new things coming soon! After our interview, I was given the chance to ride “Brain Surge,” the park’s newest thrill ride. I will have a complete review up soon of this thrilling and intense attraction. Make sure to check out Nickelodeon Universe’s website and “like” them on Facebook! Listen below or download here. In the last decade, various theme parks have introduced “virtual queuing” systems and up-charge skip the line passes. Parks with these tickets include Disney, Universal, and Six Flags. 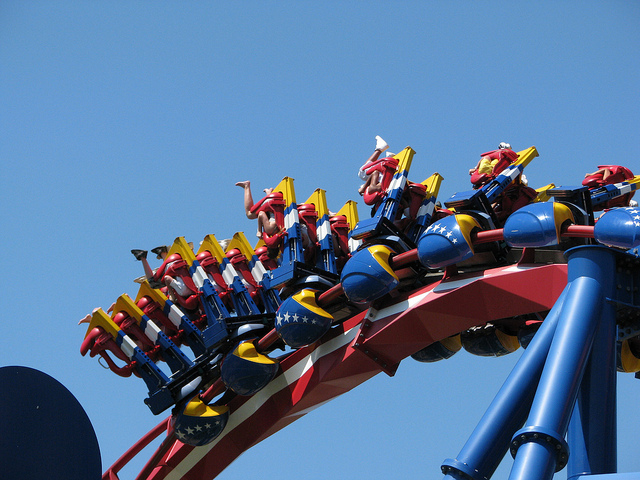 Cedar Fair remained the only major American theme park chain not to give-in. After new CEO, Matt Ouimet dropped hints on a visit to the park just over a week ago, Kings Island rolled out Cedar Fair’s first ever skip-the-line ticket Fast Lane. For $50 a person, guests receive a wristband that allows one to skip the line on ten popular attractions from noon to 7 pm. For the seven hours, guests have unlimited use of the wristband. Despite others concerning that the system could be abused and allow large groups to take over a ride for hours on end, the system is very similar to Universal’s Express Pass ticket included with hotel stay. With that system, guests simply show their key and skip the majority of the line for their entire visit. I don’t see guests being able to abuse the system unless they are allowed to board before the regular line is, which would be absolutely terrible. 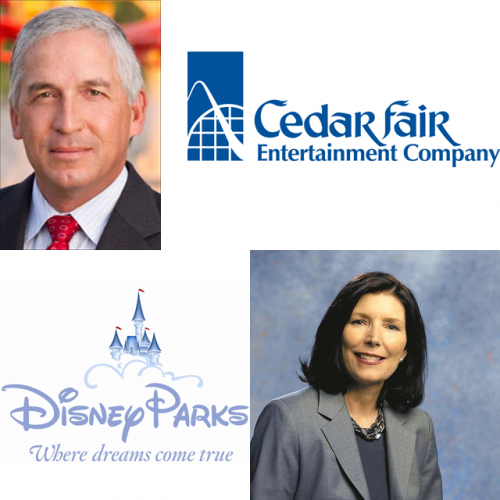 The question is now raised, will other Cedar Fair parks soon follow? Could we soon see Cedar Point offering a wristband that offers skip-the-line privileges for a vast majority of it’s 18 coasters? How would the system work out at smaller parks with fewer highlight attractions? There is no doubting that Ouimet is keeping a close eye on how the system does in Kings Island and assessing whether or not it should be implemented into other Cedar Fair parks. Fast Lane is now available to all Kings Island park guests. For more information on the ticket option, click here. So do you think this is a good deal? Will it help or hurt guests experiences at the park? Leave a comment with your Park Thoughts below. In our most recent poll, we’ve been comparing two compact thrills: the Gerstlauer Euro-Fighter type, and Intamin’s new ZacSpin model. Several smaller parks are looking for relatively affordable, yet high-quality thrill coasters that can boost park attendance. Both Canobie Lake and Six Flags Over Georgia sought how the compact, Gerstlauer Euro-Fighter model. With it’s signature beyond vertical drops, the Euro-Fighter is a coaster type that has proven to have no true “cookie cutter” elements (aside from the drops). While Canobie Lake’s version sticks to the classic helix, barrel rolls, and standard elements, Six Flags Over Georgia’s model is unbelievably twisted with a new train design as well. On the flip side, Intamin’s ZacSpin offers the unpredictability element with freely spinning cars. Occupying a thin strip of land with it’s vertical track, the coaster offers airtime and some spectacular views (depending on location of course). Although, these are not quite as popular as the EuroFighter type yet, I see these ZacSpins as being perfect additions for seaside amusement parks, and piers across the world. When we asked for your thoughts, you answered. Although a tight race, emerging victorious was the older and proven model: the Gerstlauer EuroFighter. In fairness, while ZacSpin always have to be compact, a EuroFighter can stretch wide sections of land (including Mystery Mine pictured in the header and the new Takabisha). However, Gerstlauer has demonstrated such a versatility with this model that it becomes near impossible to not appreciate. A big, congratulations to Gerstlauer for having a winning coaster type on your hands. Which extreme, compact coaster model do you prefer? Next, we have a shorter, more fun poll. With Summer heating up, it’s always a good time for a classic theme park snack. Food stands are scattered across all parks, and the aromas of fried concatuions, the blasts of cool air when entering an ice cream parlor, and the sticky left-overs of cotton candy are all memorable parts of the classic amusement park experience. The next poll is simple: What’s your favorite amusement park treat? Poll is now open and closes July 27, 2011. Vote & have a treat! Fuji-Q amusement park in Japan is known for having some of the most extreme coasters on the planet, and this year the park adds to their collection with Takabisha, a Gerstlauer Euro-Figheter. 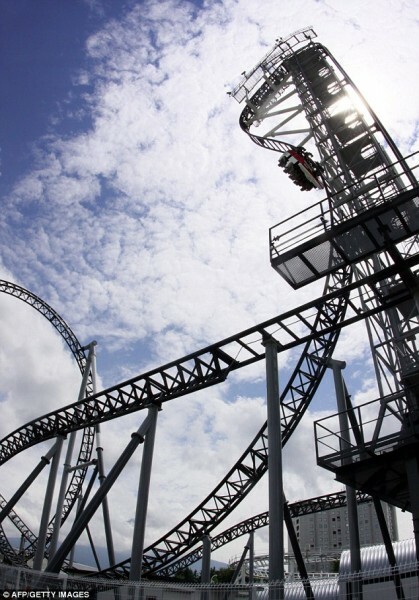 Takabisha takes the record for the steepest drop of any coaster on the planet with a stomach-churning 121 degree drop.